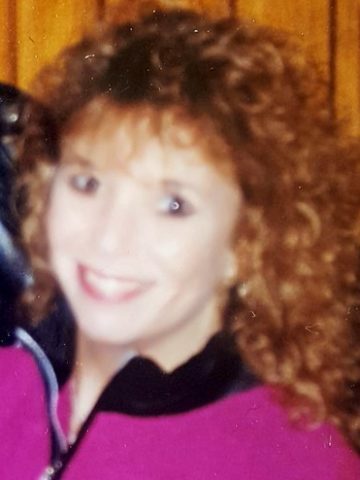 Connie Gentry, Age 58 of Goodlettsville, passed away on April 2, 2019. She was born in Nashville, TN to the late Earl and Linda Smiley. She is survived by her husband of 36 years, David Gentry, and their son, Wayne (Rebecca Hartman) Gentry. She is also survived by her sisters, Kimberly Smiley and Stephanie (John) McHenry. Connie was employed for several years at Touchstone Medical Imaging where she was a Human Resource Manager. What a testimony we can give for such a beautiful person inside and out. She was a loving wife, a best friend to her sisters, and a very special friend to her son. Some of her favorite things were shopping, decorating, and working out. Her cancer journey started years ago. She got up, dressed up in her fancy jewelry and high heels and never complained. She was loved by her co-workers and an inspiration to us all. Her husband of 36 years was by her side taking care of her until the end. She is a hero and will always be remembered as our Superwoman. A celebration of Connie’s life will be at Cole & Garrett Funeral Home Goodlettsville on Saturday April 6, 2019 at 3pm. Visitation will be from 11 am until service. For those desiring, donations in her memory may be made to the Breast Cancer Research of one’s choice. Our hearts and prayers go out to the families! We are so sorry for your loss. Please know that you will continue to be in our thoughts and prayers. Extra Prayers for your family Steph, Your such a hero and deserve to lean on your friends and family as you have always lifted the world up with those amazing eyes and beauty you pass on from your mom who has her arms filled with your dad on one side and your sis on the other to watch over you baby girl. She knew you were her biggest cheerleader and Now we are all here for you. Stephanie and Kim, so sorry to hear of Connie’s passing. May your heart be filled with wonderful memories of her life. After so many, many years I’m so thankful to have been able to reconnect with you and with Connie through our “sweet” Vicki. You are in my thoughts and prayers. May your sweet soul Rest In Peace. Condolences to your family.